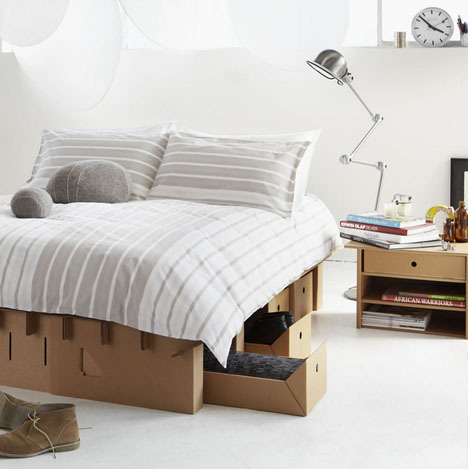 It is one thing to create a simple stool or side table from corrugated cardboard, but quite another to use the same material to make a dining room table that can handle spills or a king-sized bed to support the weight of two people. 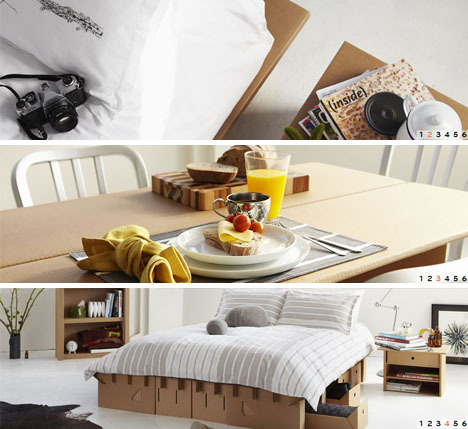 The Australian company Karton has worked out a solution for essentially any piece of furniture you can imagine, including complete bedroom, office, dining and living room sets that can be (at least partly) water-proofed with water-based polyurethane and paints. No fasteners or tools are required for construction – folds and tabs make assembly a self-contained process in each case, while instructions provide a helping hand as well. And for a few hundred dollars for a full set of bedroom furniture, cost is a somewhat secondary issue, too. 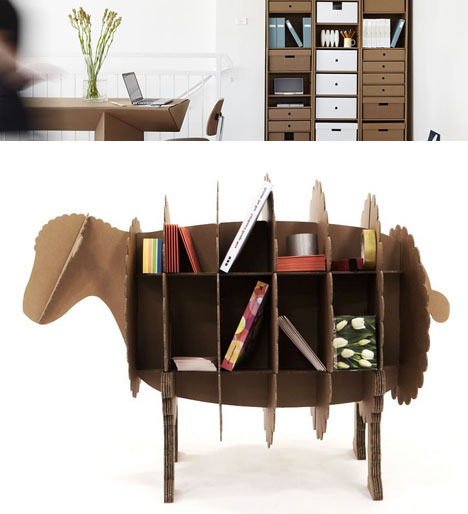 The complete collection includes a barista and a bistro table, a box and a hex stool, paperpedic beds and under-bed drawers, and a series of stackable shelves and other slotted storage solutions … and to round it all off: a sheep-shaped, free-standing shelving unit, too. Recycled paper and non-toxic, vegetable-starch glues make the products in turn recyclable. 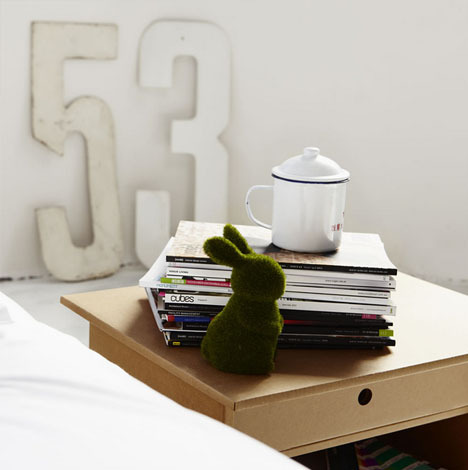 While they do not speak to high-design seekers, perhaps, these items could be perfect for a student dorm, bachelor pad or other semi-temporary dwelling that needs short-term furnishings.